How does Seattle Seahawks’ fullback Michael Robinson train for the Super Bowl? With the Cybex Arc Trainer, of course. In case you missed it, the Seattle Seahawks defeated the San Francisco 49ers on Sunday and now get to play the Denver Broncos in the Super Bowl on February 2nd in New Jersey. 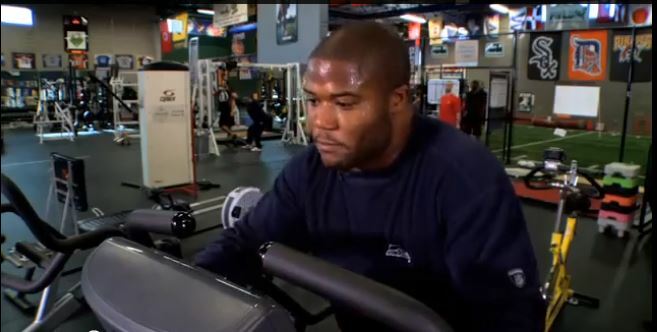 Watch how Seahawks' Michael Robinson counts on the Arc Trainer as a key training tool to get into the shape he needed to beat the 49ers and go on to the Super Bowl. We were lucky to catch up with Michael during one of his training sessions at Fischer Sports Performance and talk to him about his workout. We wish the best of luck to both the Broncos and the Seahawks. However, we know that Robinson and his teammates are in great condition thanks to the Cybex Arc Trainer. Let's get ready for some football!